This fascinating program progresses from darkness to light, from the exquisite harmonies of an Italian renaissance prince to two sacred masterpieces of the twentieth century. Stravinsky’s moving sacred score, a highly personal work, is presented in a rarely performed version for chorus and two pianos. Messiaen’s great two-piano cycle, recorded in 2010 by Sarah Rothenberg and Marilyn Nonken to international critical acclaim, is a virtuosic tour-de-force that builds towards an ecstatically climactic close. 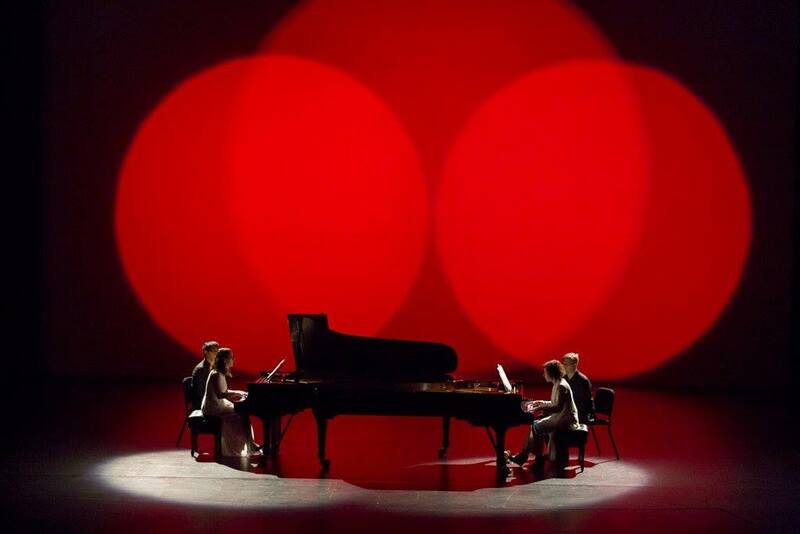 Da Camera collaborates once again with the stellar Houston Chamber Choir and Tony Award/MacArthur Foundation “genius grant” winner Jennifer Tipton, whose lighting design for this program transforms the music’s radiant colors into a visual counterpart. Presented in collaboration with Houston Chamber Choir. Made possible in part by Da Camera’s Artistic Development Fund.